Brigid, a gifted druid priestess, seeks to preserve Ireland’s ancient religion when Christianity broaches its shores. Through a dangerous ritual, Brigid remembers her past life – a rare power – as a goddess of the Túatha de Danann. She must hide this secret from druids in her own order who are jealous of the talent she possesses and would use their combined magic to seize her power. When she confronts Patrick, the charismatic leader of the newly-arrived Christians, she realizes they have a shared history, tied together by a bond formed lifetimes before. As Brigid persists in reminding him of their past and of his promise to help her revive the Danann, Patrick denies the deal he made as a lonely slave boy to a goddess he believed to be only in his imagination. When Christianity broaches Ireland’s shores, Brigid, a gifted priestess, seeks to preserve the ancient beliefs started by the Túatha de Danann. Brigid must defeat a ruthless arch-druid determined to control her mystical powers and challenge the leader of the growing Christian religion, the charismatic Patrick. As Brigid’s mystical strengths grow, she must overcome those who try to stop her. When she starts a rigorous druid training school, she’s threatened with a lifetime of slavery. 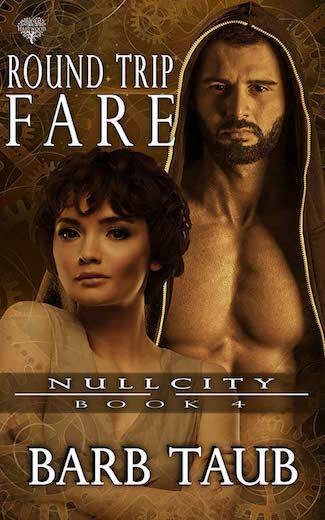 In order to survive, she must span two worlds and two faiths, an undertaking that places her in Patrick’s path once again. Memories of the past haunt her…shadows of a clandestine love and secrets she must hide with her life. Fifth-century Ireland is the backdrop for their turbulent lives, a place where history and myth live side by side. A blend of fact and imagination, Church of the Oak explores the humanity behind the divinity, a story full of magic, intrigue, and desire. 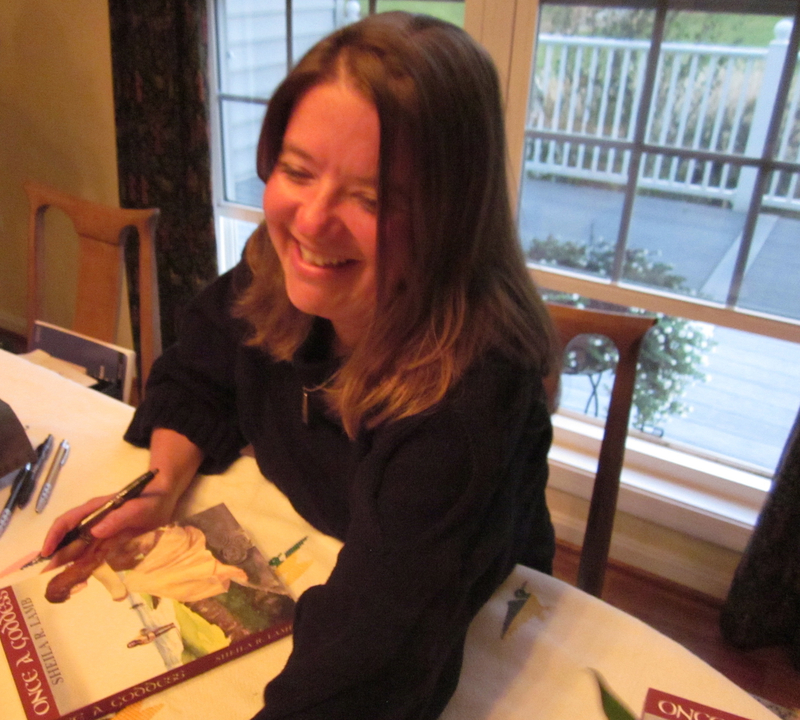 Sheila Lamb received an MFA in Creative Writing from Queens University of Charlotte and an M.Ed. in Curriculum and Instruction from George Mason University. Her short stories have earned Pushcart and storySouth Million Writers Award nominations. She is a writer-in-residence at the Weymouth Center for the Arts and Humanities and is a fellow at the Virginia Center for the Creative Arts (VCCA). 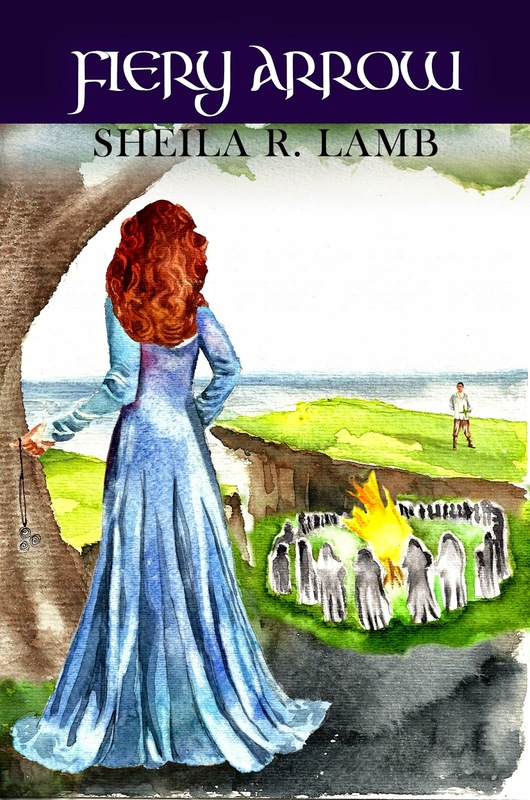 Sheila is the author of the Brigid of Ireland historical fantasy series, which tells the story of Brigid as goddess, druid, and saint. Sheila has traveled throughout Ireland and participated in the Achill Archaeology Field School. She loves Irish history, family genealogy, and is easily distracted by primary source documents. She lives, teaches, and writes in the mountains of Virginia. Bishop Mel sent in monks to begin building lodges for the Christians who would join us. The neighboring hillside was full of whitewash, thatch, and men. They eyed the druid novices carefully, and the druid girls watched them. “Leave the monks to their work,” I said and sent the girls back to their studies. I’d given Mel my word that there would be no theological arguments between the two sides. It was close to Samhain when the first Christian nuns and monks settled into their new homes on the grounds of the sacred oak. Instead of seeing the timing as a bad omen, I decide the end of the season’s wheel would have a positive outlook. It was time to end the old. Dar and I planned the Samhain ceremony to reflect acceptance of change. The clouds parted and the sun glanced off the frost that edged the reddened leaves of the oak. The nuns in their dark robes didn’t look very different from the druids. I greeted them in the courtyard. “We want you to study and worship as you wish. I will provide instruction for those of you interested in healing. Dar will work with you in the gardens.” I neglected to say her focus was prophecy and many of the plants grown were to help her in her seer-work. Thanks so much to Barb Taub for hosting Sheila Lamb’s book tour today! 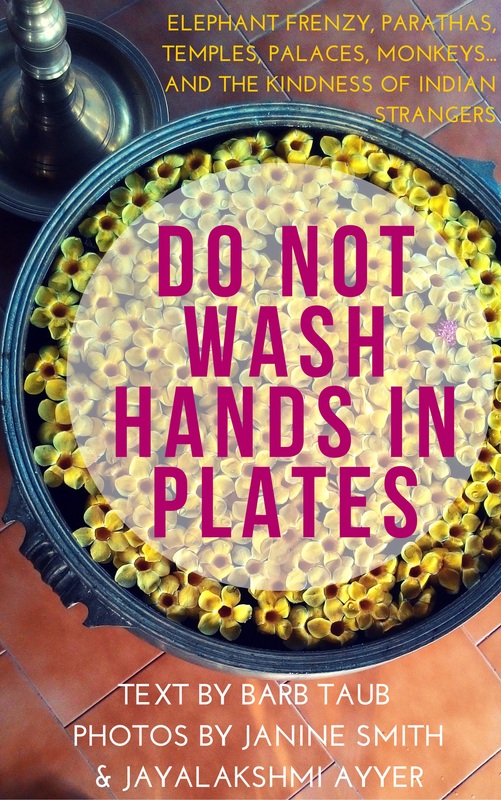 Barb’s blog is FABULOUS–she is funny and poignant and always has the good word on what to read next or how to survive living in Europe. Please check her out! 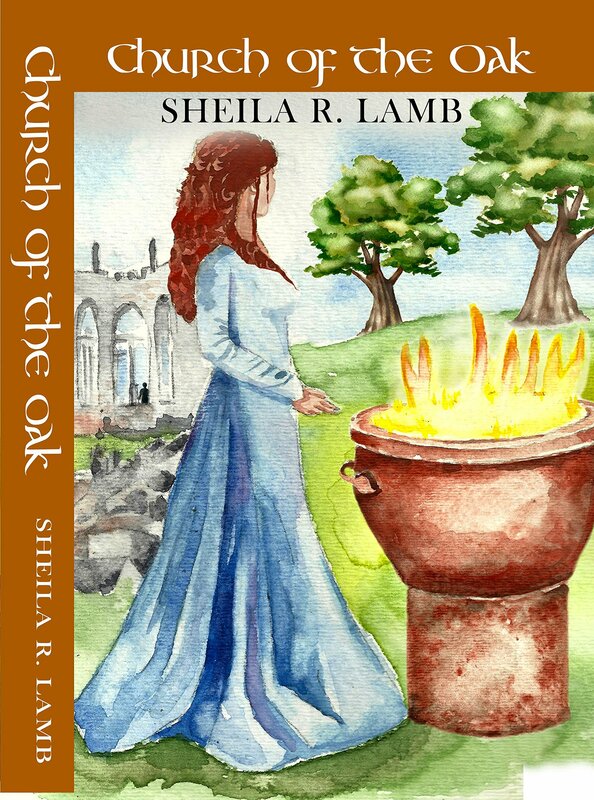 The 3rd book, Church of the Oak, just came out this month! Hooray! Page 69 challenge! 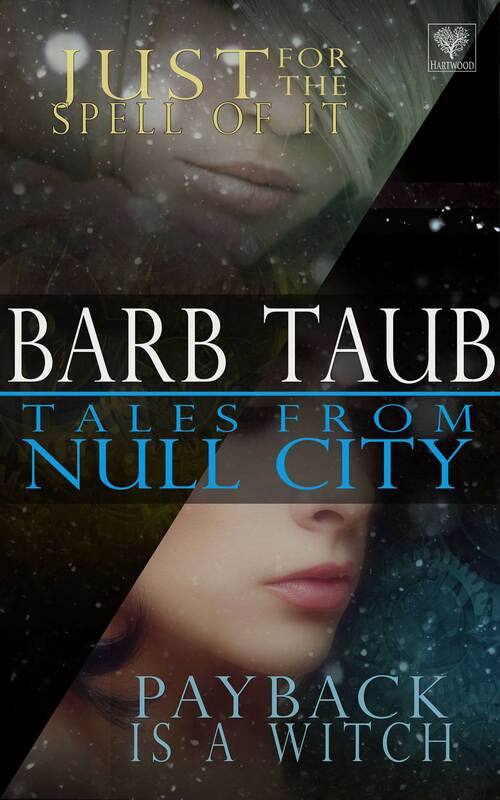 Love today’s stop at Barbtaub.com on the Virtual Book Tour!